We present a novel time-resolved light transport decomposition method using thermal imaging. Because the speed of heat propagation is much slower than the speed of light propagation, transient transport of far infrared light can be observed at a video frame rate. A key observation is that the thermal image looks similar to the visible light image in an appropriately controlled environment. This implies that conventional computer vision techniques can be straightforwardly applied to the thermal image. We show that the diffuse component in the thermal image can be separated and, therefore, the surface normals of objects can be estimated by the Lambertian photometric stereo. The effectiveness of our method is evaluated by conducting real-world experiments, and its applicability to black body, transparent, and translucent objects is shown. We extend the visible light transport model to the far infrared light transport. We show that the thermal image is a composition of ambient, specular, diffuse, and global components, which is similar to the visible light transport. A novel approach for time-resolved light transport decomposition is provided based on the difference of the transient property of the far infrared light transport. We show that ordinary computer vision techniques can be straightforwardly applied to thermal images. 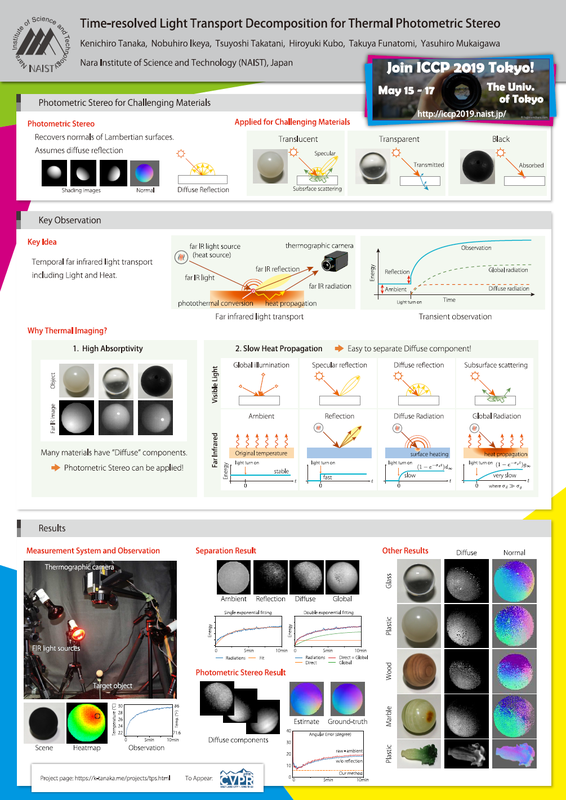 As a proof of the concept, we propose a method to recover the surface normal using a photometric stereo after decomposing the far infrared light transport. 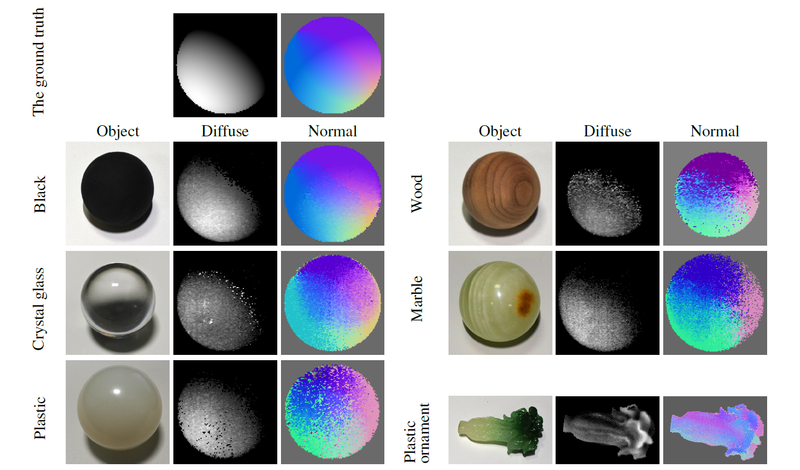 The surface normal of challenging objects that have complicated optical effects can be recovered. Our method recovers the surface normal of wider range of materials, including black body, transparent, and translucent objects.